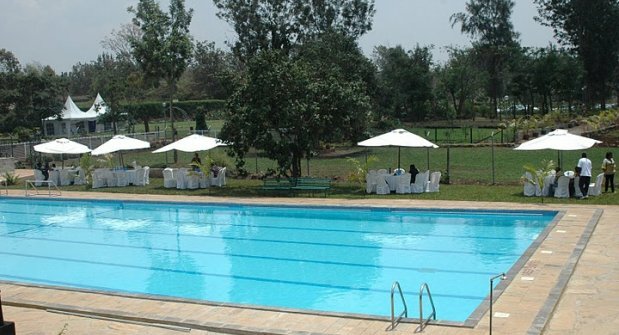 Bounce, swim, jump, run, socialize at Natare Gardens. The pleasant landscape that surrounds Natare Gardens together with the calm and quietness within the secluded garden makes this the perfect location for a relaxing time away from the city. 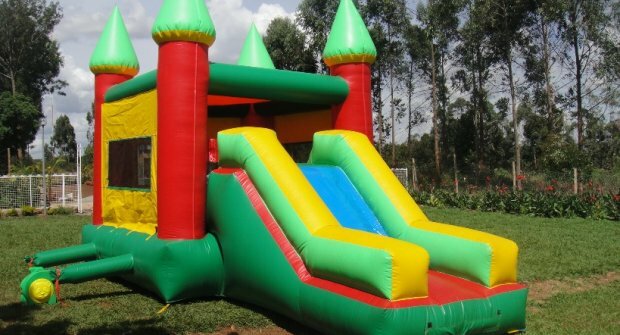 Natare Gardens is suitable for family get-togethers, thanksgiving parties, birthday parties, and many more occassions and meetings. 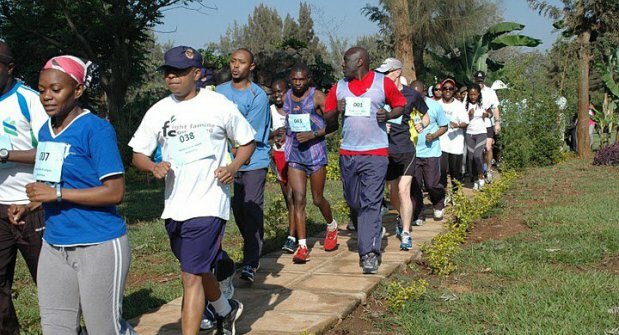 The venue also serves as a perfect meeting site for people hiking up the Ngong Hills and its environs. Natare Gardens can facilitate exciting expeditions for clients. Kindly contact us for further information. Every Sunday from 10am to 5pm we are open to the public. 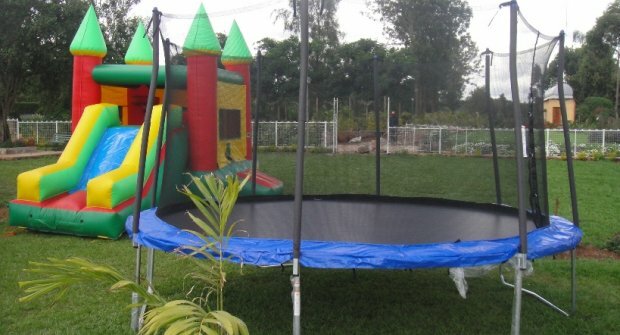 We have fun activities for children including trampolines and bouncing castles. The swimming pool is also open and the food is available. 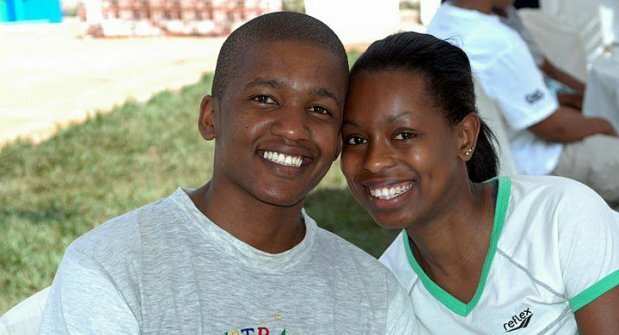 Sundays at Natare Gardens is a perfect way to wind down the weekend and prepare for a new week. Natare Gardens can comfortably host a wedding reception of up to 800 people (seated, restaurant-style). We provide the full wedding package including decor, tent, tables, chairs, catering services and PA systems. Your wedding can be held in any of our colourful gardens or under the pavilion or pagoda. Contact us for more information.